Evolving to the next generation. Quickly and intuitively turn your ideas into music. KORG Gadget 2 - The best music production software. 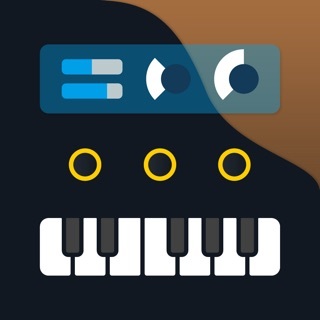 • TECH AWARD 2015 "Best Music Production App"
* USA, UK, Japan, Germany, France, Italy and much more! • Updated and jam-packed with new features. 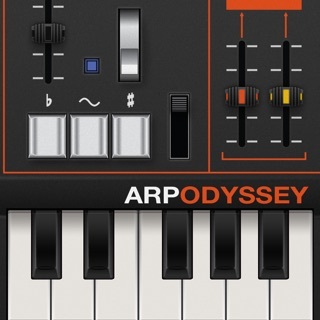 • Instrument collection with over 40 gadgets. • Link with hardware for infinite possibilities. • Use with your favorite device, anytime, anywhere. 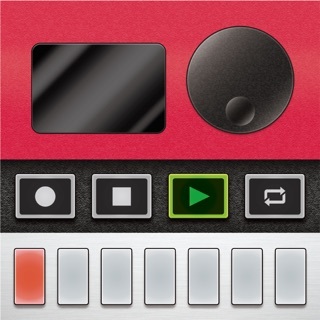 KORG Gadget can be used with iOS, Mac, via plug-in (Mac/PC), and Nintendo Switch. On iOS and Mac, you can share your ideas by seamlessly using iCloud or an Ableton Live*1 project, and using plugins in your favorite DAW; for Nintendo Switch, share seamlessly via QR code. *2 Wherever, whenever inspiration strikes, you can use you favorite device to take your KORG Gadget with you. - Fixed a bug causing unexpected drops in volume under certain conditions. - Fixed a bug that causes a crash when importing a QR code from the Switch version. Thanks for giving us the high quality music production workstation that we as mobile musicians have desperately been waiting for!!!! You all are the best. Update....... I bought gadget the first day it came out and with this new gadget 2 update I both love it and hate it.... Don’t get me wrong it’s still a 5 star app for what it does but to be considered the part 2 version is far fetched and more like a marketing scheme. The term DAW should not be applied to this music workstation because that’s what it is a workstation. Great for creation but that’s as far as it goes. Korg’s unwillingness to add AUv3 just for the effects alone make the mixer worthless to me. Zurich is crap as far as for serious vocal recording goes and I do mean serious so these demo guys should hush saying it can be done no it cannot serious audio engineering CAN NOT be done is this app. I create in Gadget then export the stems... Korg add AUv3 support for effects so we can at least complete our mix in here and while your at it make it look like a traditional DAW at least and make it horizontal so it would be easier to sequence our tracks. Your robbing our pockets we’ve paid the same amount or more than those that purchased the desktop version yet they get more options!?!?! AU support???? Gadget originated in iOS but we get no AU support!!!! That’s my rant great workstation but no DAW!!!! 🖖🏻Well done Korg, Gadget 2 is looking up so don’t stop. The initial offering price was a stroke of genius, couldn’t have resisted given this special price. Have owned and still love all the Korg keyboards I played such as the Polysix, DSS-1, Triton and others. The reason 4 stars was offered for this new release instead of 5, was certainly not due to any lack of effort by the Korg programmers (the Korg sonic quality is thankfully still intact), but...If...only Korg could envision the wisdom of reducing the prices of the many other gadgets and instruments that were -not- included with G2, during this same introductory period, with ‘special’ discounts of their own, well then laddies, could you imagine how many of us would immediately attempt to dig as deeply as possible to add not merely one, but -several- of those additional gadgets/instruments sitting there alone in the iOS shoppe? Please improve copy/paste tracks between scenes. Please! Importing a midi file into Gadget has become so much better. Because of that I’ll add another star! Thanks to the Gadget team! The next major improvement is the copy/paste of bars. Moving a bar from one scene to another deletes the previous bars in that scene. Gadget needs to be better at nondestructively moving around bars to different scenes. I should be able to either prepare a place to copy the information or Gadget should ask where to place it (what bar and beat) and built out the existing bar as needed. It doesn’t have to be fine tuned. Just let me copy over one or two bars nondestructively to another scene and I’ll be able to edit the rest as needed. Freedom with editing is what takes a DAW from being a toy to being a useful creative tool. Lastly, Gadget is such a great tool. The sounds, flexibility, and features make it the top DAW for feeding your creativity. My only other request for future expansion would be more acoustic drum and bass Gadgets along with another guitar amp modeling Gadget. Add that with IR importing would bee even better!